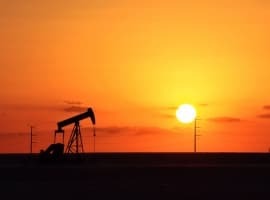 Oil markets' initial reaction to yesterday's OPEC news was rather dull, however oil prices saw a sharp spike on Friday morning as the bulls returned to the mix. OPEC followed through on its promise, extending the production cuts through the end of 2018, bringing relief to an oil market that had grown jittery in recent days. Oil prices traded in a relatively narrow range after the meeting and appeared muted. But once concerns over a selloff calmed, oil prices rallied once again on Friday morning. OPEC deal extended through 2018. The deal will run from January through to December, and the exact volumes of the production cuts will be the same as this year. The OPEC/non-OPEC coalition said that they would monitor market conditions and would remain “agile,” ready to respond if the fundamentals deviate significantly from expectations. They will revisit the agreement at the next official meeting in June 2018, but they assume the cuts will last through the end of the year. Russian officials pressed for details on an exit strategy heading into the meeting, but the group offered no information – Saudi oil minister Khalid al-Falih said it would be “premature” to do so. One notable change is that Libya and Nigeria agreed to cap their production levels at their 2017 average, which doesn’t necessarily curtail supply but will prevent any “surprise,” as witnessed this year. The Russian and Saudi oil ministers played up their unity and boasted about their strong relationship. All smiles from Vienna. 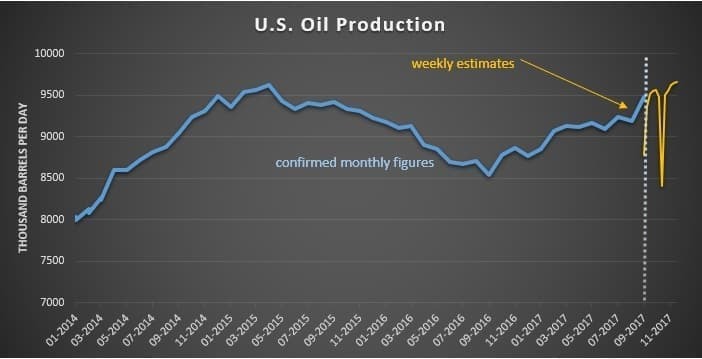 EIA: U.S. oil production surged in September. While OPEC was meeting behind closed doors, the EIA published data for September, showing a dramatic jump in output. 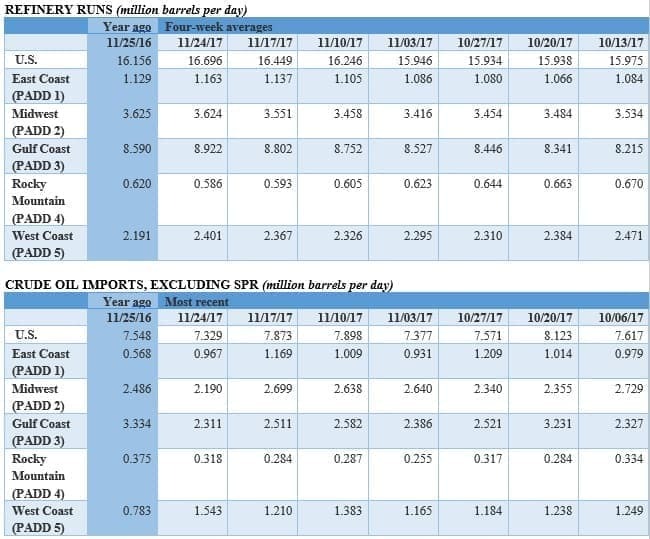 The U.S. produced 9.48 million barrels per day in September, an increase of 290,000 bpd from a month earlier. 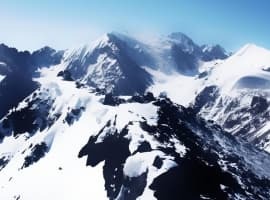 Aside from the size of the increase, the data was significant because it seemed to put to rest the notion that the agency was overestimating supply. 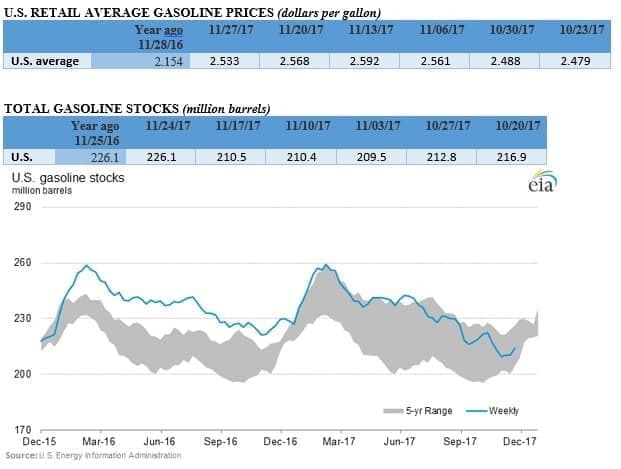 For several months, the weekly data diverged from the monthly data, raising questions about how accurate the EIA’s estimates were. Yesterday’s data suggests that U.S. shale production is indeed growing robustly. Shale hedging soared in 3rd quarter. 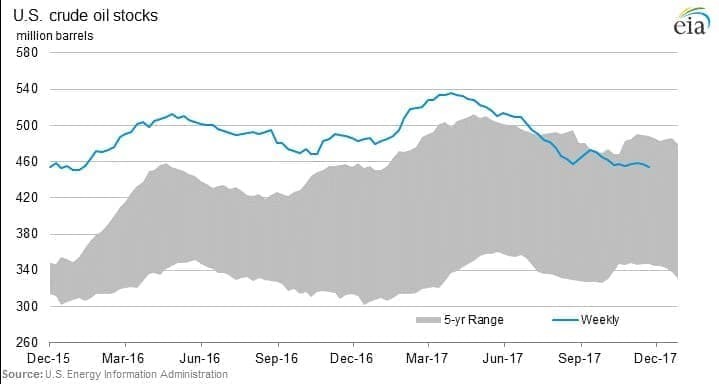 New hedging contracts in the third quarter encompassed 897,000 bpd of annualized production, according to Wood Mackenzie survey of 33 companies. 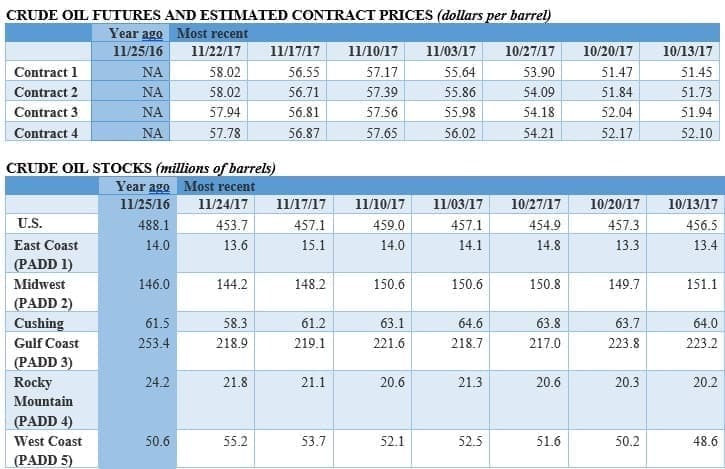 That is 147 percent increase from the second quarter, and a sign that shale drillers rushed to lock in hedges after WTI rose above $50 per barrel. “Producers that are able to lock in prices above previous expectations may feel more comfortable with increasing activity," Andy McConn, a Wood Mackenzie research analyst, told Bloomberg. “Others may leave budgets unchanged and promote higher cash-flow guidance to an investment community anxious about profits." China gas consumption surges, leads to shortages. China has tried to replace dirty coal-fired power plants with natural gas to cut down on pollution, and by all accounts, it has succeeded. But now, the country faces natural gas shortages because of the spike in consumption. That has led officials in Hebei province to call on cities to cut their gas use. Venezuela arrests former oil minister. The purge in Caracas continued to expand this week. After replacing the head of PDVSA and the oil minister with a military general, the Venezuelan government detained Eulogio del Pino, the former oil minister. The reason, like the other arrests, was because of corruption allegations. But the government also risks purging the country of its top oil talent, and PDVSA could struggle as production declines accelerate. 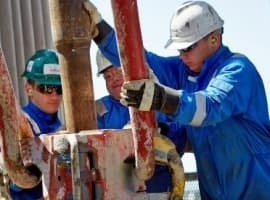 ExxonMobil begins production at Hebron field. ExxonMobil (NYSE: XOM) said production at the Hebron field in eastern Canada began this week, which will see peak production at 150,000 bpd. The field was first discovered in 1980 and is thought to hold 700 million barrels. Its partners in the project include Chevron (NYSE: CVX), Suncor Energy (NYSE: SU), Statoil (NYSE: STO) and Nalcor Energy-Oil and Gas Inc.
ExxonMobil close to exploration deal in Mauritania. ExxonMobil (NYSE: XOM) said it is nearing a deal with Mauritania to explore for oil and gas offshore, which would mark its first deal in the West African country. Interest in Mauritania has climbed because of the sizable discoveries in neighboring Senegal. Elon Musk’s claim for world’s largest battery to be temporary. Elon Musk made news over the past week when Tesla (NYSE: TSLA) successfully installed the world’s largest energy storage facility in Australia, a 100-megawatt project that came online in less than 100 days. But he will only hold that mantle for a short period of time – Bloomberg reports that a 150 MW project should reach completion in South Korea in three months. Developers are expected to install 1,650 MW of energy storage capacity this year, quadruple the total from 2016. Now look at Nat. Gas its moving like there is going to be an ice age tomorrow. Very mild winter in the US, looks like the guys in the pits are trying to start a hollow rally in Nat. Gas. .I think you mean.. on Friday morning( vs Monday morning). oil prices saw a sharp spike on Monday morning as the bulls returned to the mix. I agree oil is barley moving. I think HFT traders still have it in a holding pattern. If you look at the Nasdaq time and sale for various oil related ETF's, you will see 100 share trades 20 to 30 times in a row within 1-2 seconds, defiantly a HFT (high frequency trade) manipulation. Oil would have broken out to $70-80 by now if it weren't for the HFT traders. Fact is very clear.OPEC cut will bring market in balance.Even now supply and demand are almost balanced.With additional one year do not expect nothing but increasing demand.Don't forget that world's economy prospects are much brighter than last couple of years and will need much more energy.Stars and planets have been aligned for all oil companies. Wouldn't expect oil to go much higher for a little while. Lots of longs that need to shake out now as a new base is formed before the next leg up.